As part of a recent design effort here in the studio we attempted to develop a kinetic facade that could respond and adapt in real-time to both solar radiation and user input. The client, CJ Corporation of Korea, was enthusiastic about the idea as part of their “only one” initiative which promotes unique one-of-a-kind thinking. 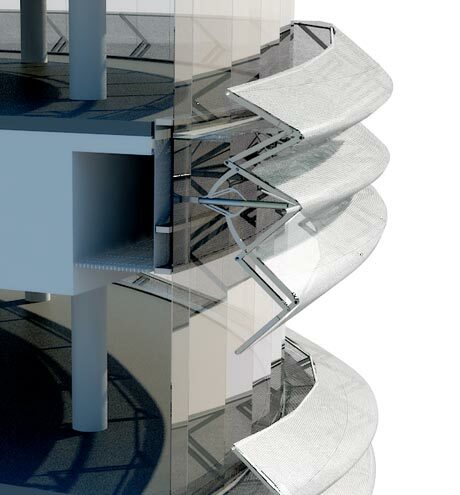 While this certainly isn’t the only kinetic facade in the world, it presented our team with a new set of challenges. For many of us, the holy grail of modeling surface detail is the ability to “paint” geometry directly onto a surface in 3d space – being able to generate complex effects, or influence subtle variation with the stroke of the mouse or stylus. Tools such as Mudbox and Zbrush already support this exact mode of working, however combining geometry painting with the parametrics of 3ds Max to achieve responsive panel behavior would be a “best of both worlds” scenario. We’ll test this concept in the video below. Using the new viewport canvas tool in combination with the displacement modifier, we’ll attempt to build and manipulate surface effects similar to the embossed pattern on Zaha Hadid’s footware for Lacoste. The possibility of controlling panels in a Revit curtain wall through an Excel spreadsheet opens up a wide range of opportunities for interoperability between Revit and other tools in our workflow. Any program capable of exporting a range of values could potentially send values directly to Revit, saving users the hours of manual data entry currently required to translate a design or analysis model into a documentation (BIM) model. To enable Revit to read in values from Excel , we looked at two Revit plugins; Revit Excel Link ,developed by Cad Technology Center and Whitefeet, written by Mario Guttman. Using a combination of Revit and both plugins, we were able to develop the workflow demonstrated in the video below. Project Vasari, a standalone application that expands on the Revit conceptual mass family interface (available here from Autodesk Labs) brings Ecotect analysis capabilities into the Revit environment. We test drove this tool to see if we could create a surface that responds directly to the results of solar analysis. Vasari allows us to easily export analysis data in .CSV format, bring that information into Excel and read all the values generated from Solar Analysis. Having that numerical data available, we initially thought we could bring these values back into Revit to drive a specified parameter in the Pattern-based Curtain Panel family. Unfortunately, we discovered, that data exported from Vasari’s Solar Analysis does not always correspond with the position of curtain panels within the curtain wall. That is, data point 1, 2, 3… does not correspond to panel 1, 2, 3…etc. In our experiments , the logic of how the .CSV data is organized has nothing to do with the row / column organization in a divided surface grid. Without the help of a custom plugin that could perform automatic labeling of curtain panels based on position, using CSV data would require a user to manually enter a numerical value or label panel by panel. As a workaround, we used a tool that translates pixel color from an image into values that affect instance parameters within a Revit family. By feeding in graphical results from Vasari’s Solar Analysis, we were able to achieve the desired effect. This tool, known as the Bitmap to Panel plugin, can be downloaded from Zach Kron’s blog, Buildz: http://buildz.blogspot.com/2010/08/making-revit-forms-from-image-files-in.html . It works by translating grayscale image values int0 numerical data, which is then inserted into a specified parameter within the Revit curtain panel family. Many of us have struggled with incorporating analysis data from energy consultants or software like Ecotect and Energy Plus into the the early stages of design. This is largely due to the cumbersome process of moving models between design and analysis software, or worse, the necessity to completely rebuild a model to suit a particular type of analysis or tool. To complicate things further, the result of such efforts isn’t easily incorporated back into the design process, because the data harvested is usually output in a static format such as a chart or two-dimensional graphic. A large part of our research is focused on discovering methods of improving the design/ analysis workflow so that that analytic tools can inform decisions made in the early stages of design. In this post we demonstrate a workflow for moving 3d geometry from our design tool, 3DStudio Max through Rhino/ Grasshopper, into our analysis tool, Ecotect. After gathering data, we import a 3-dimensional representation of that information back into Max to help shape the design. This process is also compatible for use with Maya or any other 3d modeling tool that can work with vertex colors (known as false color in Rhino) such as Blender or Unity. Evolutionary problem solving mimics the theory of evolution employing the same trial-and-error methods that nature uses in order to arrive at an optimized result. 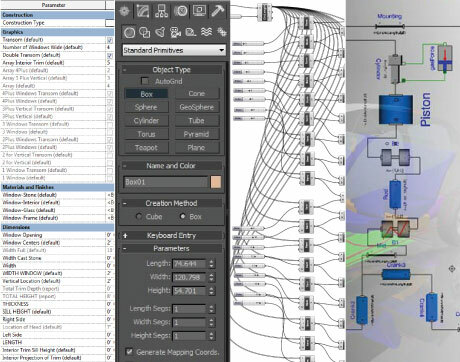 When automated for specific parameters and results, this technique becomes an effective way to computationally drive controlled results within the iterative design process – allowing designers to produce optimized parameters resulting in a form, graphic or piece of data that best meets design criteria. In this post we walk you through the process of using Galapagos, an evolutionary solver for Rhino/ Grasshopper, and show an example of how this method can be tied in with analysis tools to optimize form based on energy data. I had the pleasure of exploring stadium concepts for a potential project in Saudi Arabia. 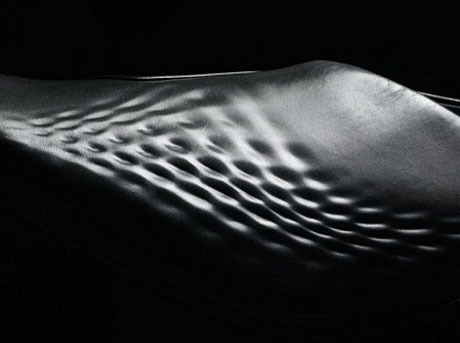 The stadium typology has much to offer on the subject of skin, response and computational design with its sheer size and volume of components. 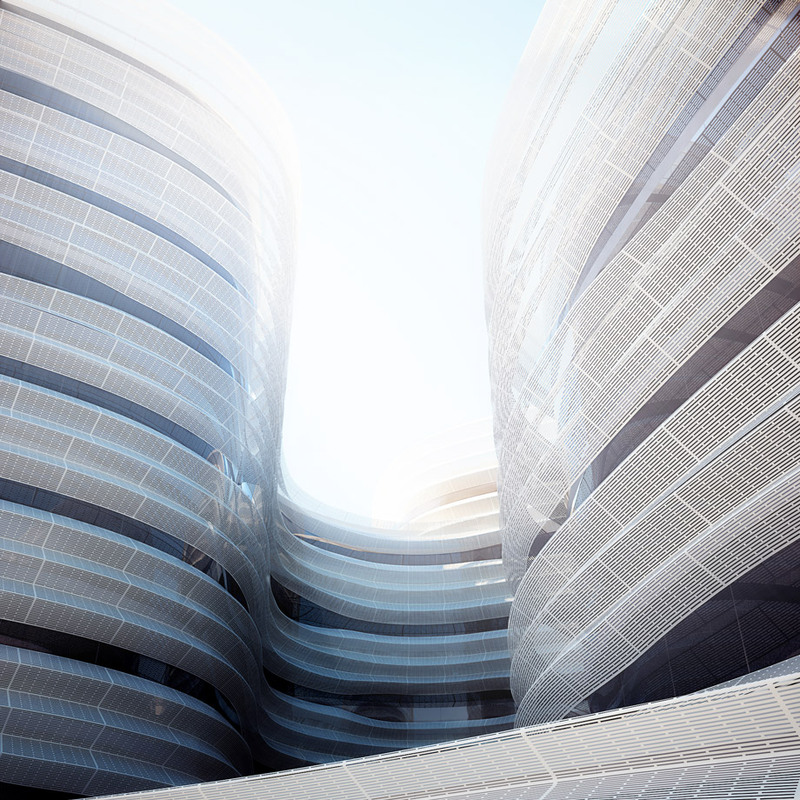 One avenue explore was a loop consisting of analysis data generated by Ecotect and a design concept formulated in Rhino3d. 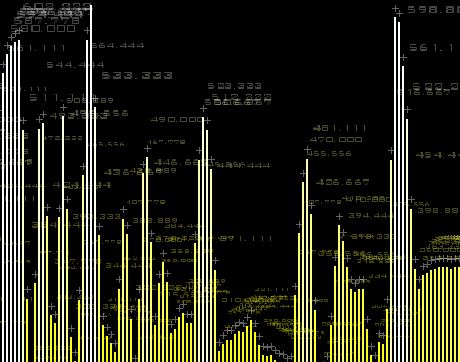 Extracting data from Ecotect is quite simple. A .txt file with data in the CSV format can be exported from Ecotect through the following location: Display->Object Attribute Values->Properties->Export Data… This data is saved as a .txt file and can be directly imported into grasshopper with the ‘read file’ GH component. Although the information is accurately imported there is a break in the loop which forces one to stop, export and re-import the information. Luckily Ecotect creates a Dynamic Data Exchange server which allows running applications to speak with each other. The GecoGH plugin is a great set of tools that executes this exchange in a seamless loop where the scripted geometry/design is streamed to and from Ecotect. Below you will see some screen shots of a process utilizing this functionality. Part 3 has an identical flow of data to part 2, the only difference is the type of sensor and the 3-dimensional relationships it effects. In this example we use a PING))) Ultrasonic Sensor to measure the proximity of an object (in this case my hand) to the sensor. The ultrasonic range finder works by sending out a burst of ultrasound and listening for the echo as it reflects off an object. Code written to the Arduino board sends a short pulse to trigger the detection, then listens for a pulse on the same pin using the pulseIn() function. The duration of this second pulse is equal to the time taken by the ultrasound to travel to the object and back to the sensor. Using the speed of sound, this time can be converted to distance. For more information on the code and circuit click here. The code written by Arduino prints values in “in” and “cm”. In this example we only need one value so we will use Serial.println(cm) and comment out the other Serial.print() functions. This will send a single array of values through the serial port similar to the example in our previous post. In Rhino the aperture is built by crating a circular array of pivot points about a center axis. These pivot points rotate a series of overlapping blades controlled by a singe parameter. The values streaming from the serial port are fed directly into the grasshopper build driving the rotation of blades. To see this process in action see the video below. Notice the values printed to the ‘right’ screen displaying the distance in centimeters. See the video in HD here. In our previous post making things that talk part 1 the analogy is used where a group of people communicate allowing them to share and transfer information. In this post we build on the same concept with the micro controller (Carl) and the sensor (Susan). There are two changes; (Paul) from processing has left us and is replaced with (Grant) from grasshopper and the source (Sam) is still here but he is measuring wind variance vs light. In this example we use a really interesting anemometer/wind sensor from modern device. This little sensor uses a technique called “hot wire” which involves heating an element to a constant temperature and measuring the electrical power that is required to maintain the heated element at temperature as the wind changes. With wind variance the sensor produces voltage/values. These values are sent through the serial port into grasshopper via the generic serial read component from firefly. 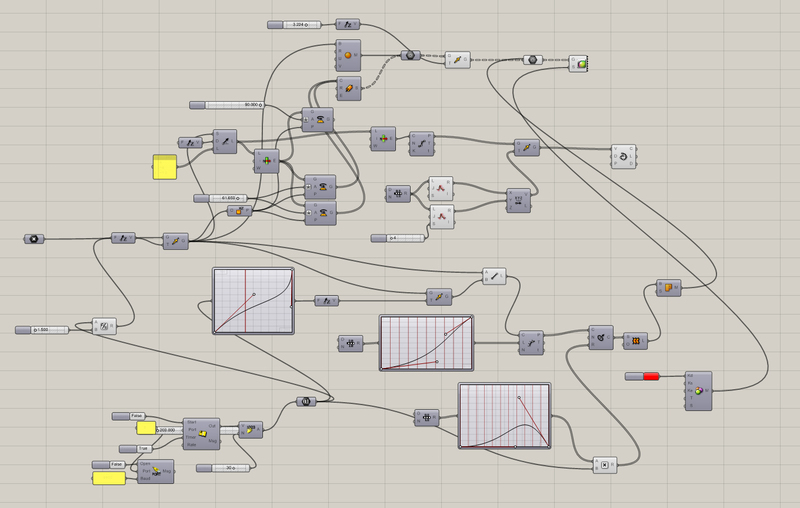 Once the values are pipped into grasshopper they alter a series of relationships that inflates a 3-dimensional balloon. 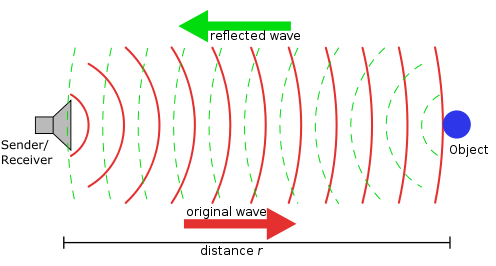 The single array of data streaming from the sensor controls 4 relationships. Final build showcases the digital inflation of a balloon translated by a wind sensor. See this video in HD here. Our previous post thoughts on response and interaction mentions the idea of embedded systems and the process of physically making things talk. Our first example uses an Arduino micro-controller , ambient light sensor the Processing programming language/development environment and a source of data which in this case is light. This communication involves 4 participants with the micro controller acting as the manager directing all parties involved. To make things simple I will make up names for each piece of technology used. We will call the micro controller (Carl) the sensor (Susan), the Processing IDE (Paul) and the light source (Sam). We will assume that each person speaks a few languages, in reality this communication takes place via programming syntax. Carl the controller goes to Susan the sensor located at room (A0), he asks Susan to get data from Sam the source. Once Susan the sensor has the requested data she sends it back to Carol the controller. Carl the controller then takes the data and sends it to Paul from Processing. Paul is very artistic and draws the data on the screen. Code is written to the Arduino micro controller asking for the anolog input voltage streaming from pin (A0). The sensor plugged into pin (A0) captures the numeric values of light in the form of voltage ranging from 0 to 1023. The Code written to the Arduino micro controller grabs those values and sends them through the serial port. As we build on this example take note to the fact that the general story stays the same, we swap out a few different characters, a few different roles, a few different languages but at the end of the day its still a group of ‘people’ ‘talking’ and relaying information. 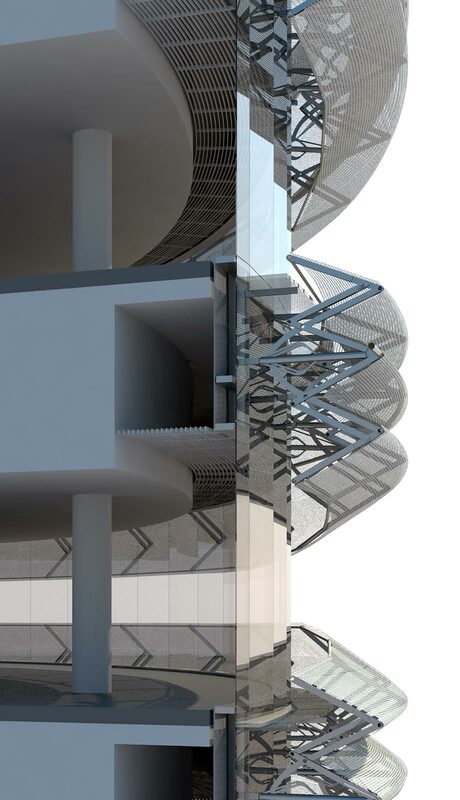 This article is dedicated to buildings that incorporate adjustable/ movable technologies that can adapt to variations in climate and the position of the sun. Jean Nouvel’s Arab Institute completed in 1987 is among the first buildings to employ sensor-based automated response to environmental conditions. 25,000 photoelectric cells similar to a camera lens are controlled via central computer to moderate light levels on the south facade (1). Now famously frozen in place, the apertures are commonly referenced in cautionary tails used to warn designers of the perils of developing kinetic facades. Inventor Chuck Hoberman spoke about his work in the field of Transformable Design. He started the talk by discussing one of his earliest installations, the Hoberman Sphere. A few years later, he launched a line of toys focused around the now infamous object. He went on to show how his work has evolved into a wide range of objects from stage installations for U2 to mechanisms that enhance building glazing performance such as his adaptive fritting and tessellate projects. Introducing the appropriate tools, tests and methods early in the design process can lead to more successful building facades. The speaker, Eleanor Lee emphasized the importance of balancing HVAC loads, artificial lighting and day lighting to achieve optimal performance. She introduced several freely-available analysis tools that can be used at different scales of facade analysis to alert designers to potential human comfort issues (glare, solar heat gain, etc.) Among these where COMFEN, a front end for Energy Plus; BCVTB, a middleware used to integrate Energy Plus and Radiance; and DAYSIM, a Radiance based analysis program. More detailed descriptions of these tools can be found in the analysis tools blog entry here. Eleanor also described research and testing performed through a partnership between LBNL and the New York Times on the Renzo Piano designed headquarters building in New York. LBNL performed extensive computational analysis and built a full scale mock-up in order to advise the client on the selection of appropriate automated interior sun-shading systems and optimal calibration. The results of their research can be found here.